Have you ever had a chance to buy one of these? Probably not. 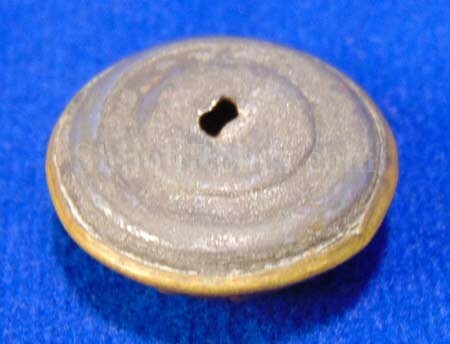 This is the large, high dome 23mm coat size button worn by Confederate staff officers. This is the pattern that is listed as CS18a in Albert's button book and as CS236a1 in Tice's button book. 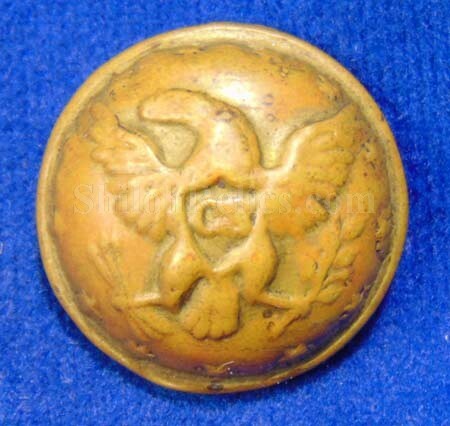 It is a very distinctive design with the crudely formed eagle on the brass face of the button. The wings are upturned with the shield that has the magic "CS" letters in the middle. These are constructed with the simple and fragile tin back with the depressed channel. This one has the nice original back intact but the fragile shank is missing in action. 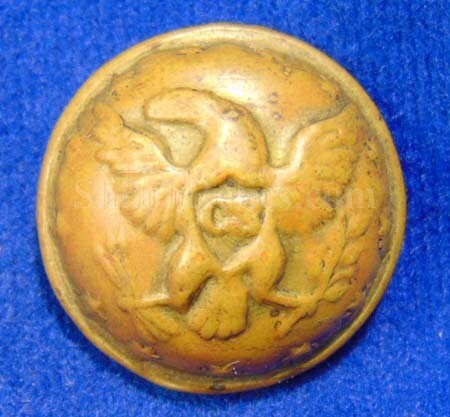 As Tice states in his book '''This button is another rare example of an eagle with upturned wings." 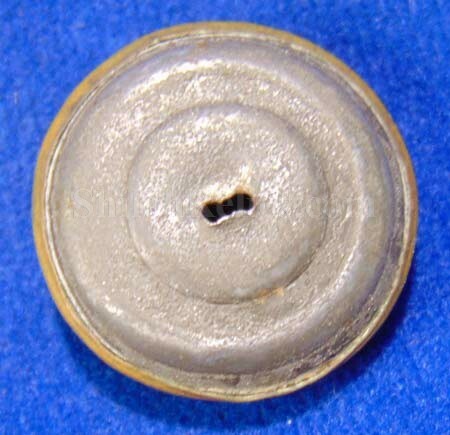 Don't miss this opportunity to get a very hard to find Confederate staff officer button in non-excavated condition.